Enjoy working from the comforts of your home in this fully customized office space. 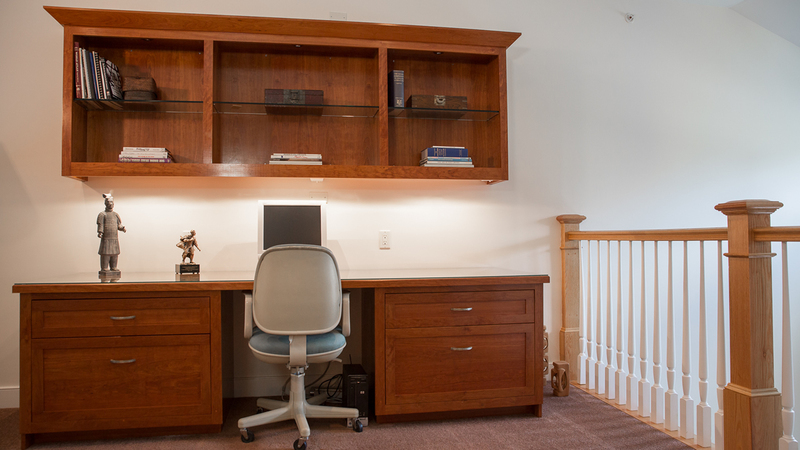 Solid cherry desk and bookcase provide ample work and display space. 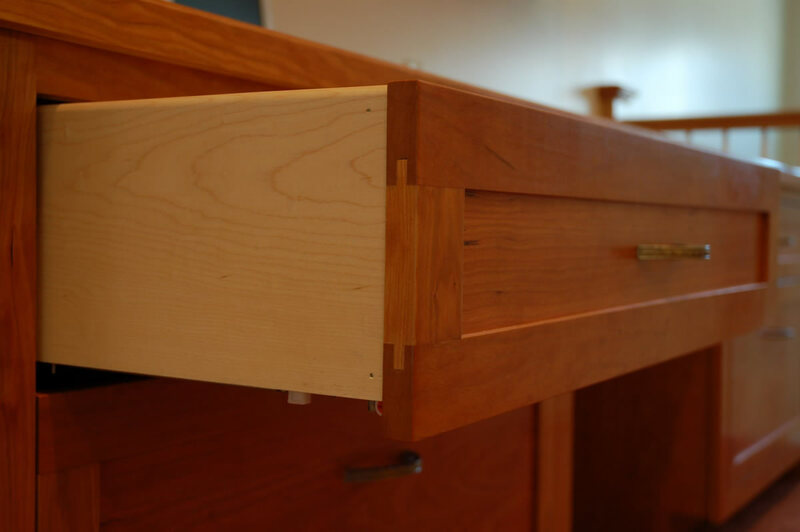 Bottom drawers replace unsightly metal filing cabinets. Bookcase has concealed lighting and polished edge glass shelves. Blonde shellac finish and neutral fine wax.